Newcastle airport offers a wide variety of choice when looking for the best car hire available. All our car hire suppliers offer economy car hire, luxury car hire, economy car hire, SUV, MPV, People Carrier and van hire. Why Choose a People Carrier Hire at Newcastle Airport ? There are many reasons for choosing a people carrier hire at Newcastle Airport including touring the Scottish Borders, visiting the famous Hadrian's Wall, travel to St Mary's Island Whitley Bay, the Holy Island and Lindisfarne Priory, to name but a few. Where is Newcastle Airport ? Newcastle airport is in the north east of England, and serves the city of Newcastle upon Tyne, Tyne and Wear, Northumberland and Wearside. It is situated near Woolsington, Newcastle upon Tyne, England. Driving to and from Newcastle Airport is made simpler with the connection to the major A1 (the principal trunk road leading from Scotland to the M1 motorway) and A696 roads. What are My Choices for Car Hire at Newcastle Airport ? You can choose from a Volkswagen Touran, Opel Corsa, Ford Focus, Volkswagen Golf, Volkswagen Polo, Opel Insignia, Citroen C3, Fiat 500L, Opel Astra, Ford Fiesta, Fiat Tippa, Volkswagen Jetta, Renault Captur, Hyundai i30, Opel Crossland, Opel Zafira, Peugot 308, SEAT Leon, Kia Ceed, Volkswagen Sharan, Skoda Octavia, Skoda Superb, Audi A1, Kia Picanto, Nissan Qashqai, Renault Kadjar, Citroen Grand Picasso, Mercedes C Class, Mercedes A Class, Mercedes E Class, Volvo V60 Estate, Volvo XC60, Chevrolet Spark, BMW 1 Series, BMW 5 Series, Ford Tourneo, Ford Galaxy, Toyota Rav4, Ford Transit and Nissan Pathfinder. If you are looking for van rental Newcastle Airport, perhaps because you are moving to a new home, maybe you have some large furniture which needs to be transported from A to B, maybe you need a replacement van while your business transport is off the road, or perhaps you play in a band and need to transport all your musical equipment to your next gig or concert – we can find a van to suit your purpose. Click here for details of Newcastle Airport delays, arrivals and departures. 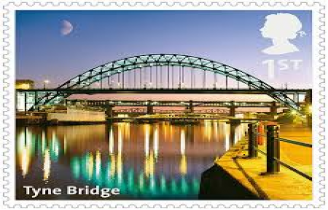 Newcastle upon Tyne (also known as Newcastle) is one of the largest cities in England located in Tyne and Wear. Situated North of the River Tyne it used to be known as the county town of Northumberland. There are many sites to see in the city of Newcastle such as the Tyne Bridge, the Discovery Museum (an excellent day out and a great place to go when its wet!) and just 2 minutes walk you come to St James Park the famous home of Newcastle United Football Club. Newcastle is renowned for its nightlife and eating out. Some restaurants to look out for include Di Meo's, Mascalzone, Moulin Rouge Cafe and Grill, and Sapori Cafe. Newcastle local people are called "Geordies", and have a strong, distinct local dialect when it comes to conversation. If you are travelling from Newcastle Airport please take advantage of our car parking offers. What Documentation Do I Require for my Car Hire at Newcastle Airport ? We have prepared a travel checklist to help you with your Newcastle Airport car hire. For cheap car parking rates, book your car parking at Newcastle International Airport - please telephone 0191 214 4341, for a friendly no obligation quotation The Medium Stay car park is a short walk from the terminal building. This facility has a free parking period of 15 minutes for passengers wishing to drop off or pick up travellers Situated outside the entrance to the airport, the Short Stay car park offers convenient and secure car parking from a few hours to several days. Fast Track Parking allows you to park immediately outside the terminal, a mere minute's walk from the check-in desks. You’ll also receive a security Fast Track pass to make your journey even smoother.